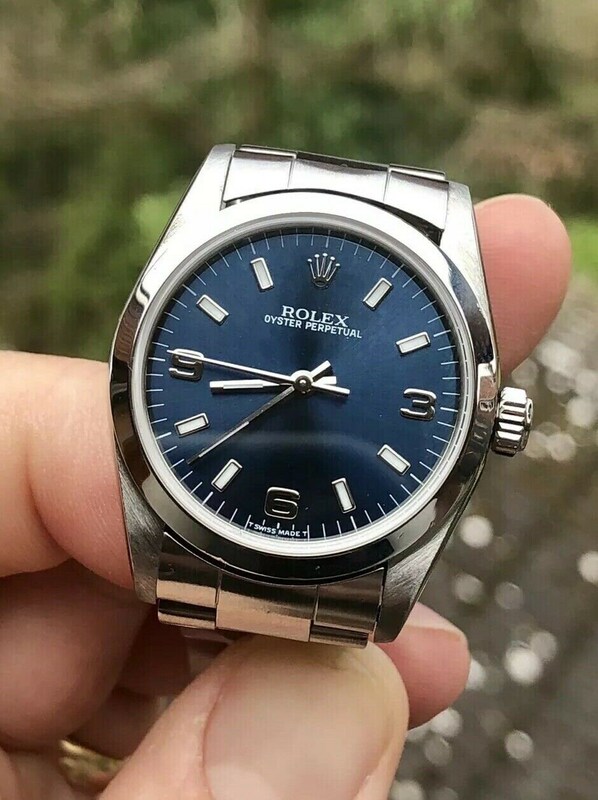 This is a affordable way into Rolex Ownership. Overall sold as very good condition. 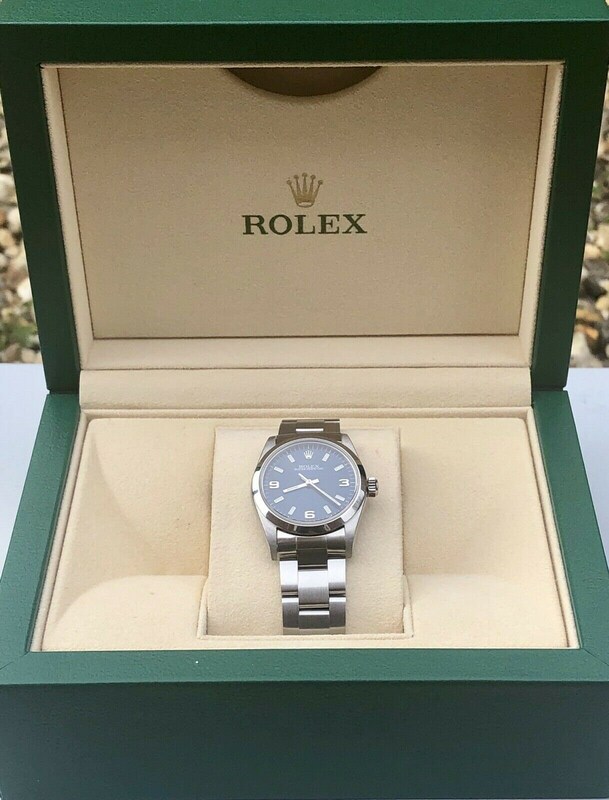 This is classed as midsize with a 31mm case so would perhaps suit a women who like a larger watch than the usual 26mm Lady Rolex. This exact model has been discontinued by the manufacturer. Therefore these will make an excellent investment. If you was to resale on in the near future I do not think you can lose money at this price. 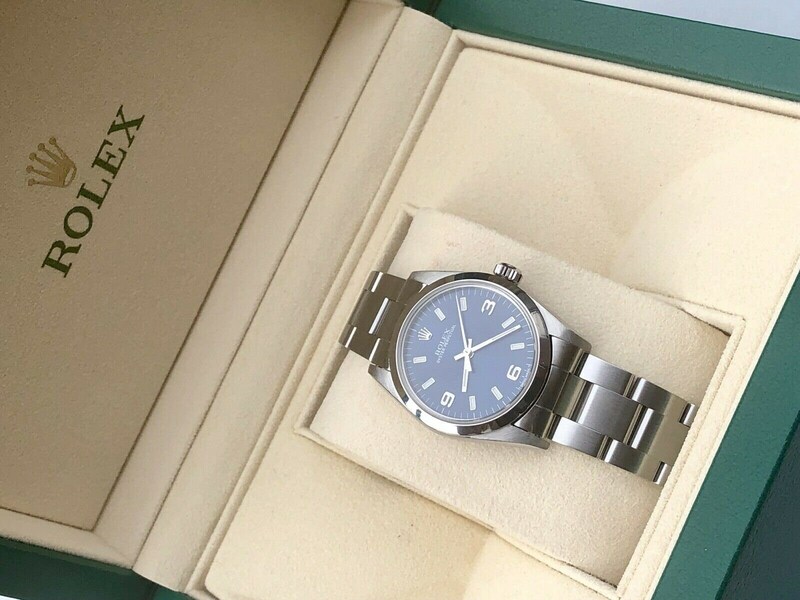 Rolex prices have continued to soar as the years go by. 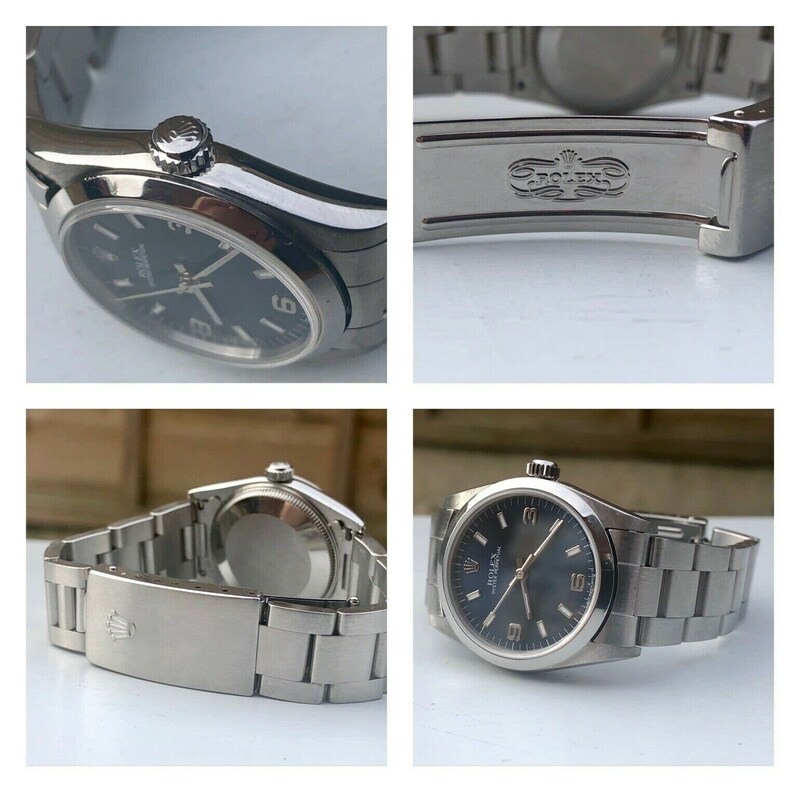 Overall a classy watch and in perfect working order. 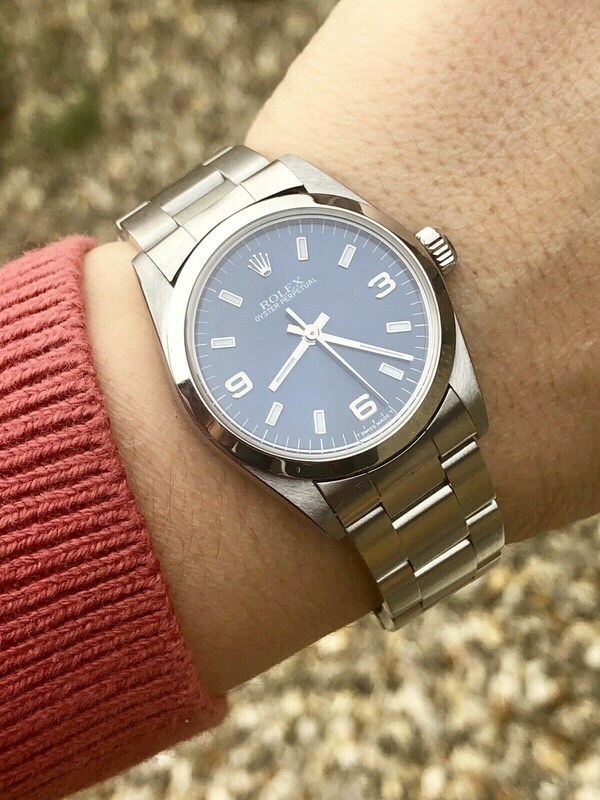 As you can see the watch looks really nice in natural light. Study the photos as this naturally makes up part of the description. 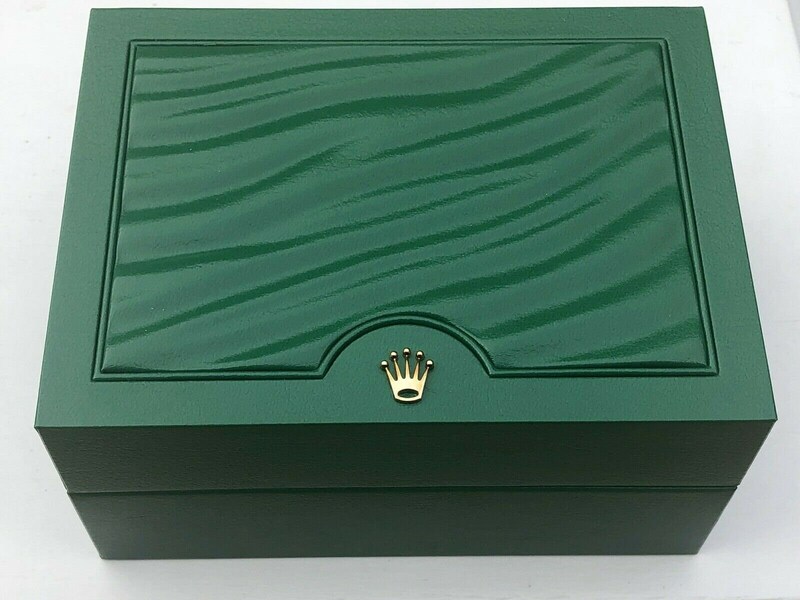 The green Rolex box supplied is in very good condition. 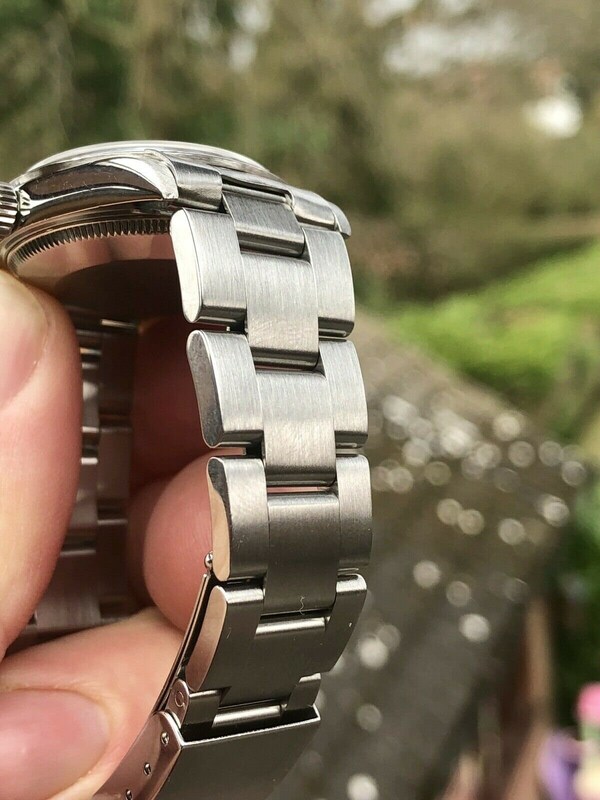 A word of warning to buyers of this watch type. 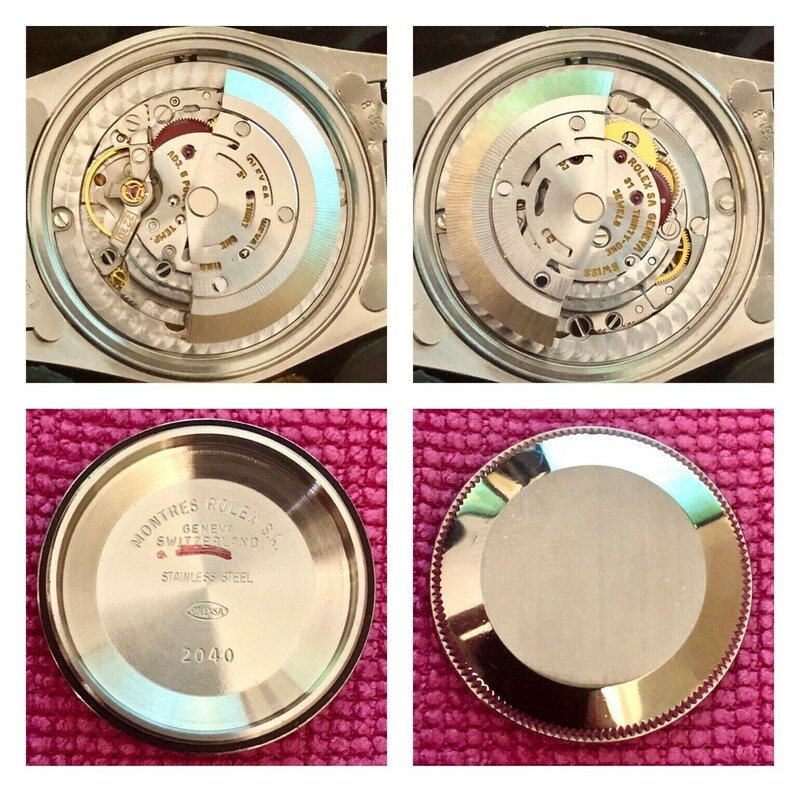 Do not buy an Automatic high end timepiece it if the seller cannot show you the movement photo. Always look for clear pictures of the movement. 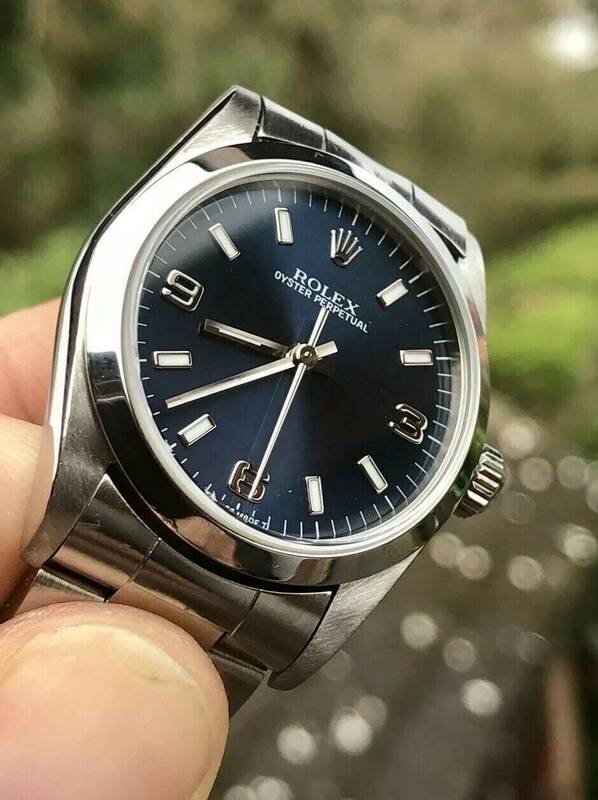 As shown here this is 100% authentic Rolex Cal 2230 Automatic movement, 31 jewels. 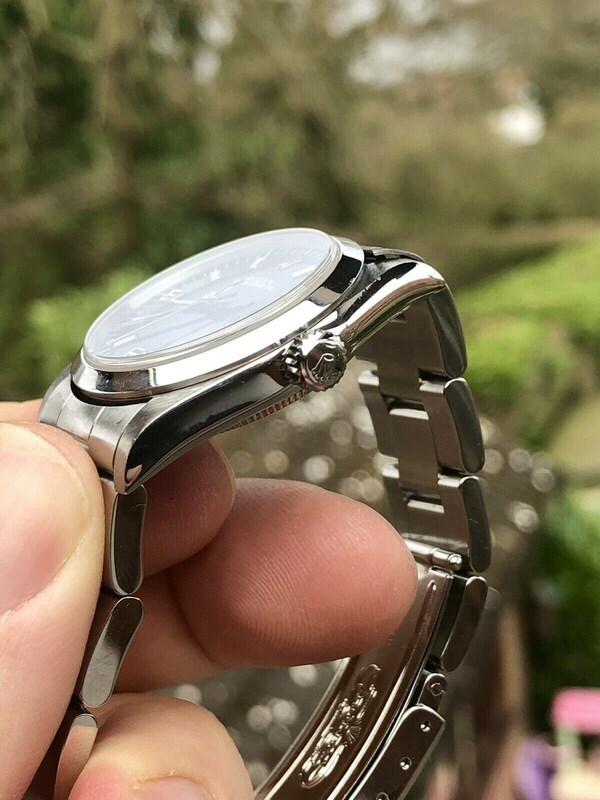 Working with high accuracy with a 40 hour power reserve.